More than half of Queensland’s trade by tonnage passes through our operating ports. We take great care to provide safe, sustainable and competitive seaport services to efficiently facilitate the process. On our port pages below, you will find information about throughputs, facilities, master planning and infrastructure projects, as well as quick access to key information like fees and charges, pilotage, and port rules and regulations. Port of Weipa Around 200km from the tip of Australia, the Port of Weipa handles more than 30 million tonnes of product per year, most of which is bauxite. Port of Abbot Point The Port of Abbot Point is Australia's most northern coal export port, located in naturally deep water around 25km north of Bowen. 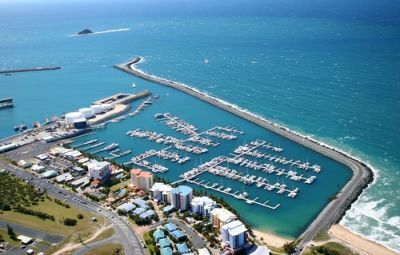 Port of Mackay A major servicing centre for Central Queensland's mining and agriculture, Port of Mackay is the state's fourth largest multi-commodity port by throughput. Port of Hay Point Two separate terminals, Hay Point and Dalrymple Bay, service mines throughout the Bowen Basin. Metallurgical coal is the primary export.